Today, modern staircase design has become a popular trend in homes! Various elements of a modern staircase make each one custom and unique. A staircase is usually the first impression in a home, therefore today, many homeowners and builders are choosing dramatic, impressionable looks that are sure to wow their guests! The possibilities are endless – glass railings with heavy, exotic wood steps; metal intricate details and circular designs. No matter the space or the size, modern staircase design is fully customizeable! Want to update or re-vamp your current staircase, but don’t know where to begin? Check out our Modern Staircase Gallery for ideas! 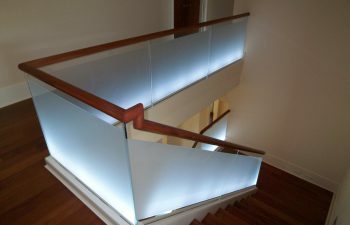 Looking for a staircase quote with us? Contact Us – we’re here to help! Depending on the level of customization, modern staircase design can easily increase in complexity. The more customized the design, the more challenging the staircase. Modern staircase design and skilled craftsmanship are required characteristics when considering a stair company. Southern Staircase is one of those stair companies who are true experts in the industry. With a full service team consisting of specialized Stair Designers, Architects, a state-of-the-art manufacturing facility and the latest technology, the more challenging the design the more welcomed the stair project! Southern Staircase prides itself in producing only the finest, highest quality staircases. Contact Us for a free modern staircase design consultation today.